I love reading the signs of what I get while out in nature and run into wild animals or domestic pets. 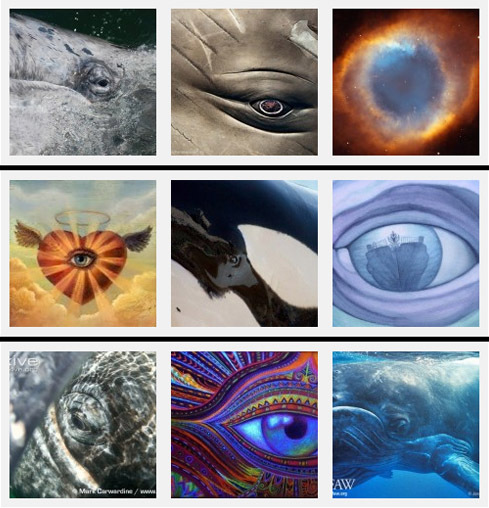 The more I open myself up to mental telepathy, the more animals approach me like they know I speak their language. When I do pet sitting, they are such fun companions with such interesting things to share with me about their environment, their way of life here and their mission with their owners (if they have one other than to love them so unconditionally). 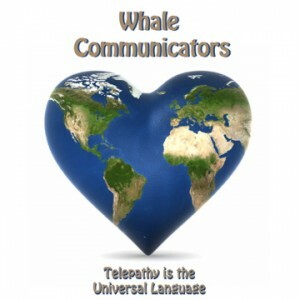 Go to http://www.whalecommunicators.com to share more of the wisdom on the whales and dolphins. We are still redoing our websites as we offshore our information in hopes that the hacking and bad spirited ones will quit their abusive ways with us and others. 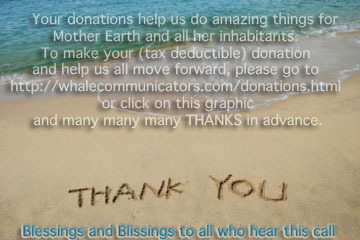 Please check out some of our Conversations That Are Changing the World from our Whale Communicators’ website. Thank you for opening your hearts and raising awareness.